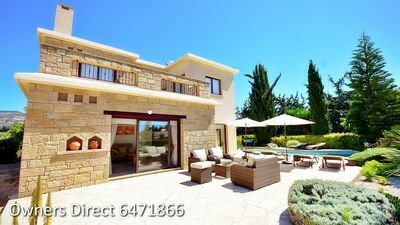 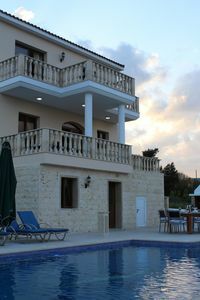 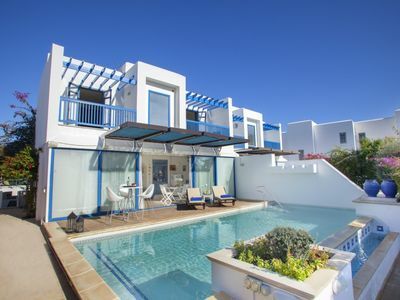 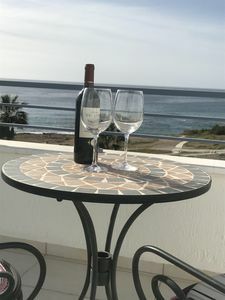 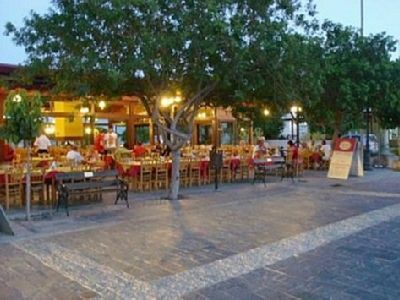 The villa is on a excellent poseidon beach villas in Chloraka, its front line and offers sea views even from both the beds. 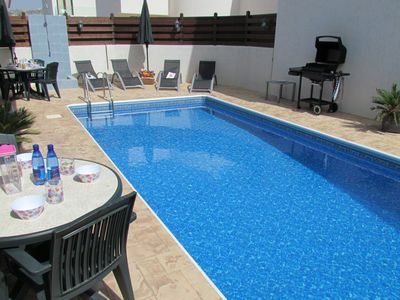 rooftop terrace giving panoramic views, both bedrooms are double, one bathroom and extra shower. 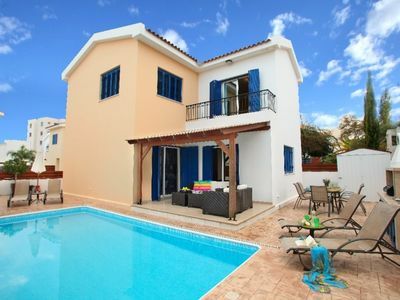 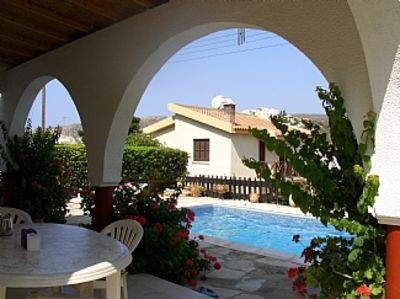 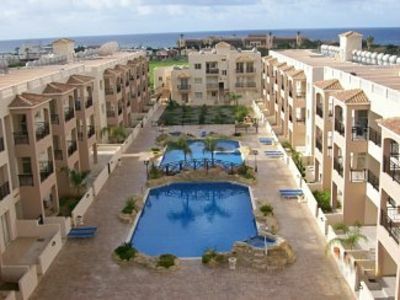 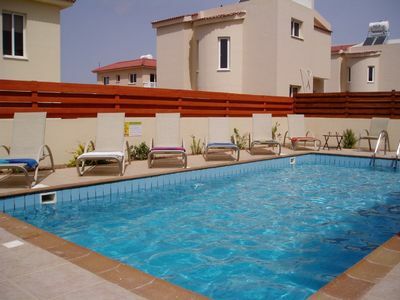 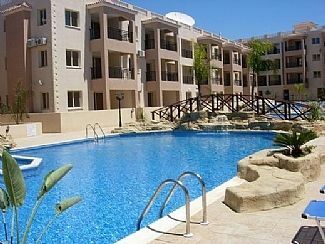 the development has a beautiful gated communal pool area with lifeguard certain times and sunloungers and umbrellas. 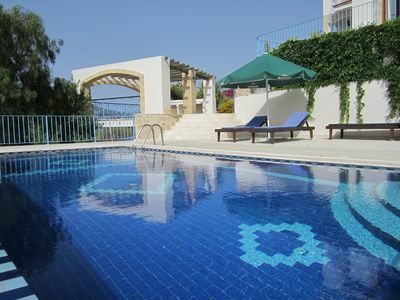 Family Villa With Private Pool, Free WIFI. 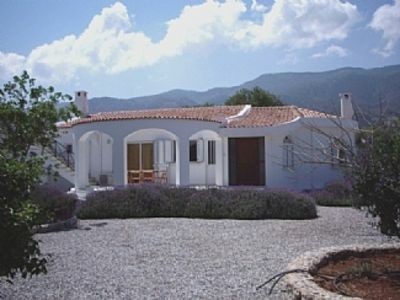 Pine Tree, Valley/Mountain Views.